Your car isn't just any car, it's your investment. Whether you drive a new car, a lease or an old vehicle, your investment needs to be protected! An accident can result in severe structural damage, but even if it's a small one, you'd still want body repair experts working on your car, using state-of-the-art unibody and frame repair equipment. Auto collision repair goes beyond fixing structural and body damage, it also includes paint and refinish. At CARSTAR #15438 in Milwaukee, WI, we give you options, from expert color matching to paintless dent repairs if possible. Our expert technicians and QAs will also run extensive quality control and assurance inspections to make sure you're getting your car back in excellent shape. While assistance at every stage is important and having options when it comes to choosing auto body services also has its benefits, those are not the most critical touchstones when it comes to having your car fixed, are they? What you want first and foremost is to know that your car is in the best of hands and that's our promise at CARSTAR #15438 in Milwaukee, WI. We have expert technicians, experienced QAs and highly advanced unibody and frame repair equipment. Our technicians have the right experience and skill set to work with both structural and body frame damage and will always be able to create the best repair plan for your car. We conduct quality inspections both for control and assurance, so when your vehicle is at CARSTAR, you know it's in good hands. In addition to full auto collision repair services, CARSTAR #15438 in Milwaukee, WI also provides a range of services that serve different needs. Whether you manage a power company's service fleet or a small food delivery service, our Fleet Services will certainly come in handy to maintain high quality repair standards but low costs. 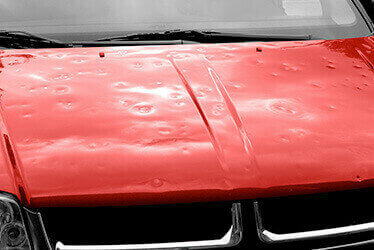 We also provide Hail Damage repairs for vehicles affected by storms and we have expert technicians and top industry equipment to make sure your car is restored to pre-storm condition. Last but not least, our Paintless Dent Repair services are your best option for small dings that don't warrant a full painting process. It's also a quicker and more affordable solution.